I’ll never be able to escape the radio, which is fine by me. Radio is kind of in my blood. Upon writing that, I’m conjuring up a variety of images in my head of an episode of The X-Files I recently watched, so I can only imagine what you’re thinking. Let me explain. My family has a long, passionate history with Illinois speech teams. My mom and dad both competed in high school, and after numerous accolades at the regional, sectional and state level, they passed down those public-speaking genes to me and my sister. We, too, competed in high school, and I went on to **compete at the state level in Radio Speaking in 2009. I inherited the event from my dad, who has spent the last 25 years or so as a speech coach. It would make sense, then, that I’ve never quite been able to leave radio behind. Lucky for me, I was assigned a story at The Plain Dealer about a new local radio station hoping to get back to the roots of what Cleveland radio was in it’s heyday. I talked with numerous sources about the history of radio in Cleveland, how it’s changed and what the market might expect in the future. The history nut in me could’ve listened to them talk for hours about radio personalities of the past and the science behind FM radio and low-power television channels. It was some of the most interesting research I’ve done for a story, and it played right into my love for my speech team days of old. 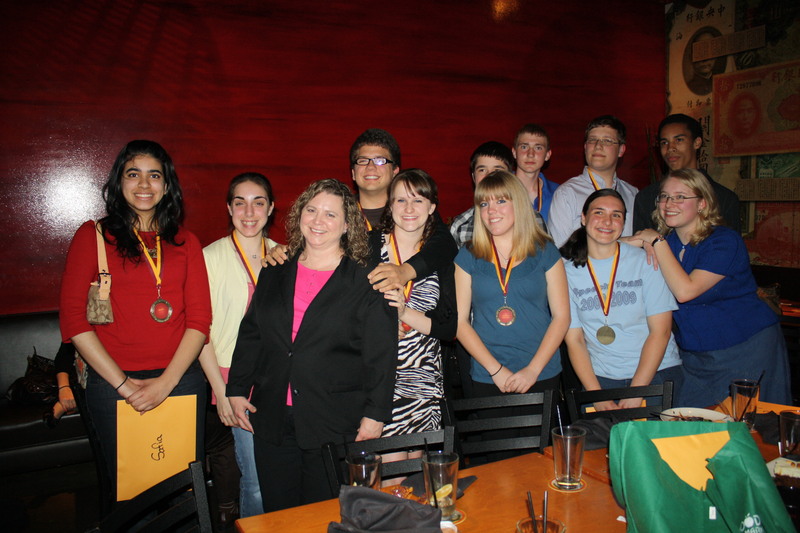 Schaumburg High School Speech Team circa 2009. The youngest kids in this photo are headed to college next year, which makes me feel a little old. The first draft of the story was about 50 inches long, a tome in the eyes of a daily newspaper feature. But even though the finished version was far shorter and a lot better (oh, the joy and value of editors), I just had so much I wanted to include! I’m working hard to be a better storyteller and better weave information and context throughout a story. I struggle with over-writing, but luckily my editors aren’t put off by my initial novels. I’m also learning to apply my ACE skills to my own work by self-editing and stopping to question and fact check constantly. I definitely have a lot of work to do, but the freedom the business section affords in lieu of feature-writing is an experience I haven’t had elsewhere. 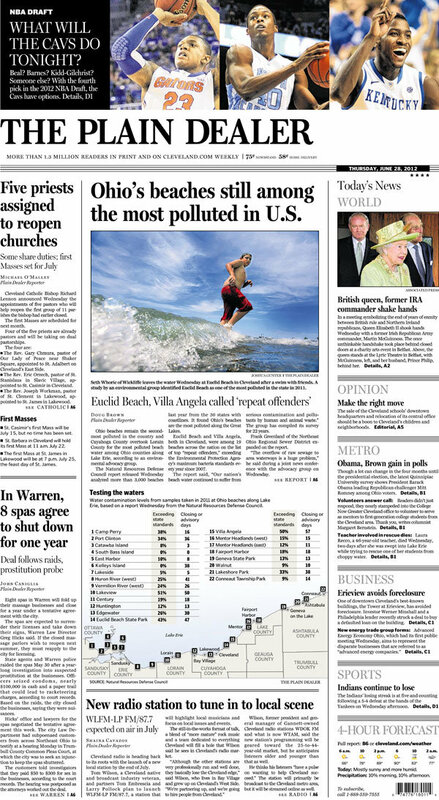 I do cover daily events and releases, but as a reporter without a beat, I have been so lucky to get to write longer feature and trend stories, a big departure from my school board days. This summer has been a reintroduction to reporting after a year of mostly editing, and I’m excited to continue to sharpen my reporting and writing skills during the rest of my internship. 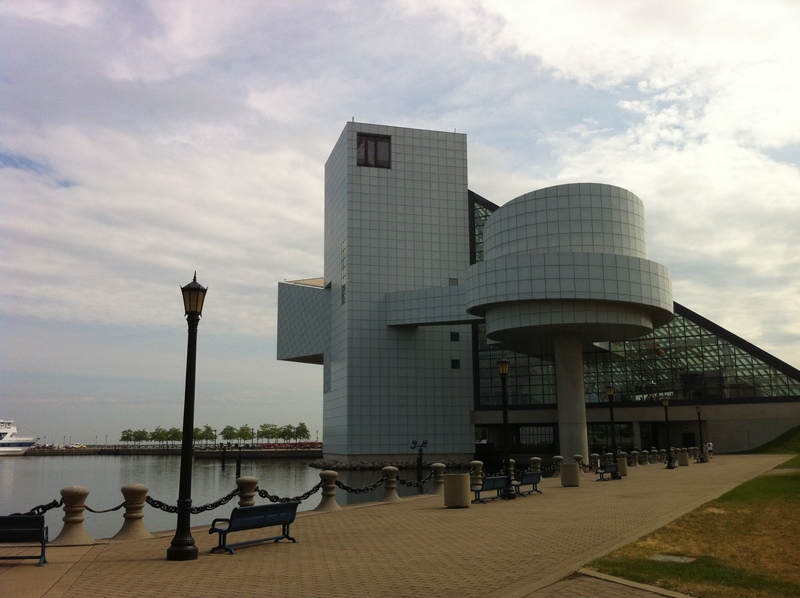 As for the 20-some leftover inches of radio copy, I took those facts and anecdotes out of my story, and instead, relayed them to my dad when we visited the Rock ‘n Roll Hall of Fame on Saturday. It was a beautiful museum, and the perfect place to visit with my dad, who was able to supplement almost every exhibit and artifact with additional stories and information. He’s something of a music-classic-rock-encyclopedia-aficionado, and that’s even without all the prompts the museum provides. Best parts? Saw Elvis’ guitar, Michael Jackson’s glove, the original handwritten lyrics to the Beach Boy’s “God Only Knows,” and was just a pane of glass away from John Lennon’s costume from Sgt. Pepper’s Lonely Hearts Club Band. Overall, a great trip and a great reporting experience. Keep ’em coming, Cleveland. This entry was posted in Uncategorized and tagged cleveland radio, radio personalities, schaumburg high school, speech teams, travel. Bookmark the permalink.